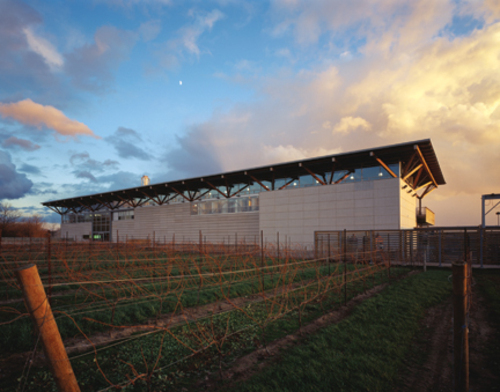 Jackson-Triggs Niagara Estate Winery is a state-of-the-art 47,000 square foot facility, set within a picturesque 26-acre vineyard, dedicated to the production of premium, super and ultra premium VQA wines from the Niagara Peninsula.The winery was designed with the visitor in mind. Explore every aspect of our scenic winery from the Fermentation Cellar to the Great Hall, or relax on our Tasting Gallery patio and enjoy a glass of wine and light vineayrd fare.Open daily, year round. Closed major holidays only.Located at 2145 Niagara Stone Road (Regional Road 55) in Niagara-on-the-Lake.